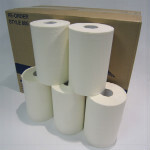 These toilet tissues are popular products, and are used by a majority of our customers. 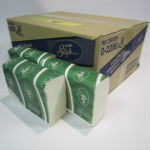 Whether you are a corporate office or warehouse distribution point these toilet tissues will please everyone. 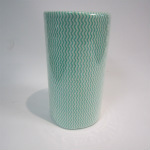 These products are environmentally friendly and our supplier strives to recycle to minimise environmental waste. 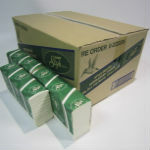 3Ply Swan toilet tissue, 4 rolls per sleeve, 200sheets, 48 rolls per pack. 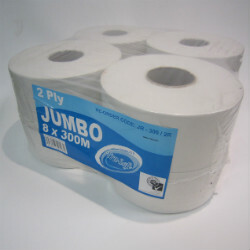 2Ply Jumbo toilet tissue, 300mtrs per roll. 8 rolls per pack. There are different types of hand towels so make sure to check your current paper towel dispenser to ensure you purchase the right type and size of hand towel. 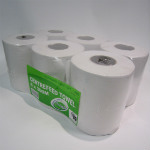 From Roll Towel, Centre Pull Towel or Interleaved Hand towel we can assist you in finding the right option. Please contact us for pricing and other hand towel options not listed. 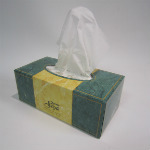 For all the accessories your washroom requires, Ace Packaging can assist you. 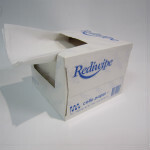 From facial tissues, hand soap, wipes and dispensers to suit all paper and tissue products we can provide you the very best product and the very best price. Contact us for pricing and product information or request a quote for any washroom products you currently use but don’t see on our list.